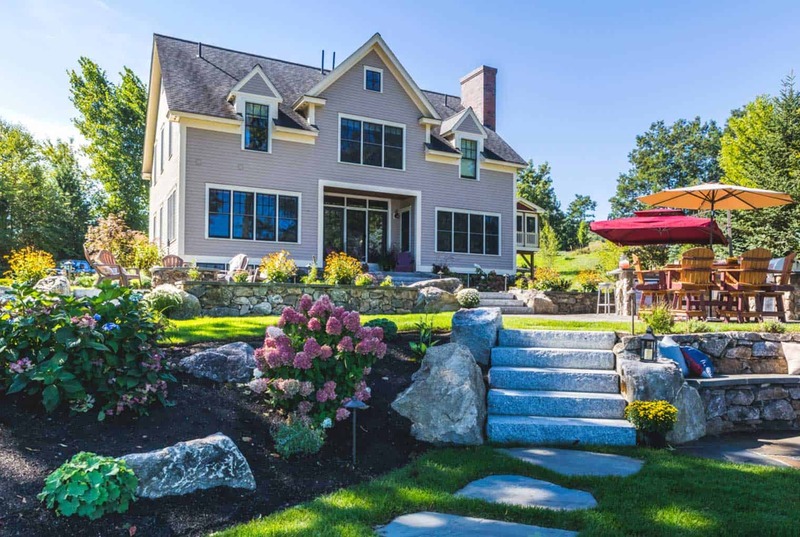 Located on the northern tip of Lake Winnipesaukee, this lakefront property has breath taking views of Center Harbor Bay. 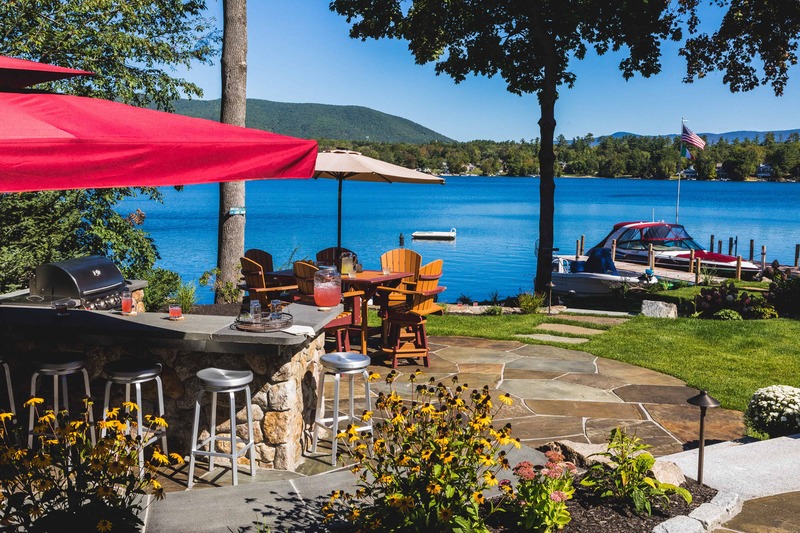 The existing house was oriented to maximize the view of the lake and the landscape needed to be designed to do the same. The project sought to take the underdeveloped, sloping landscape and maximize the available square footage by creating terraced spaces. 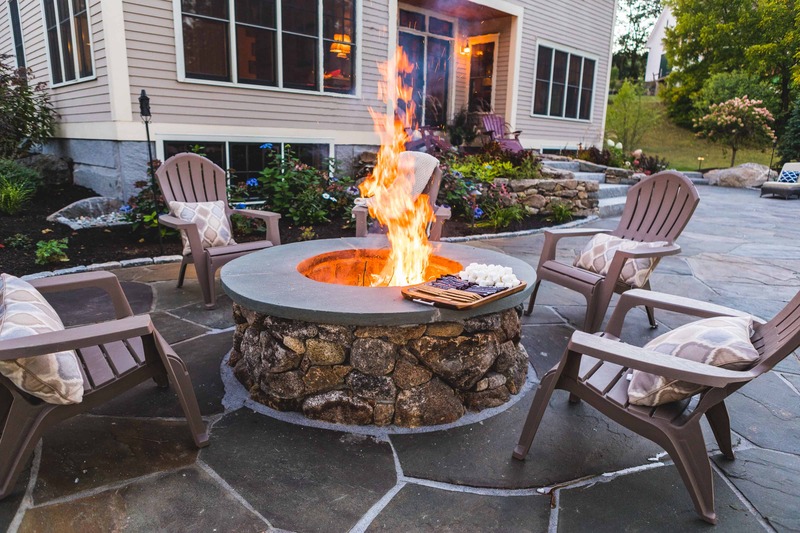 The designer worked closely with the home owner to come up with a design that provided several options for entertaining and relaxing. 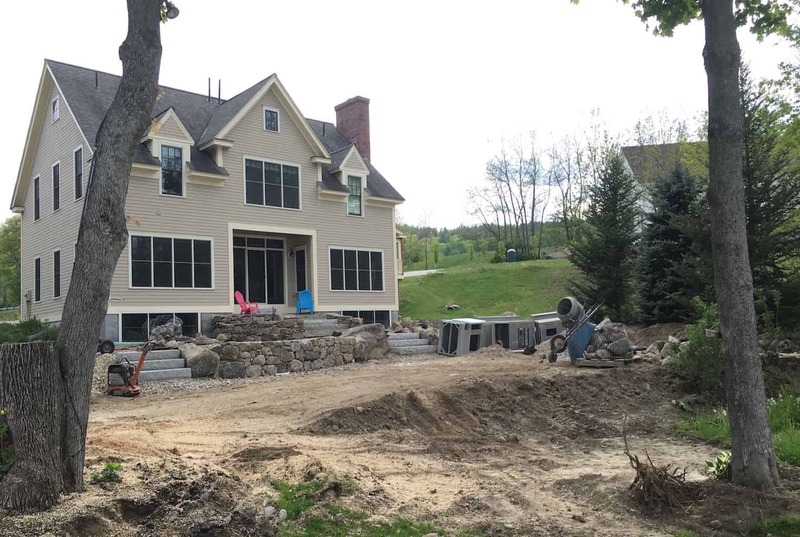 Fieldstone capped walls and granite steps, that flow naturally from the back steps off the house to the lake were used to create terraces. 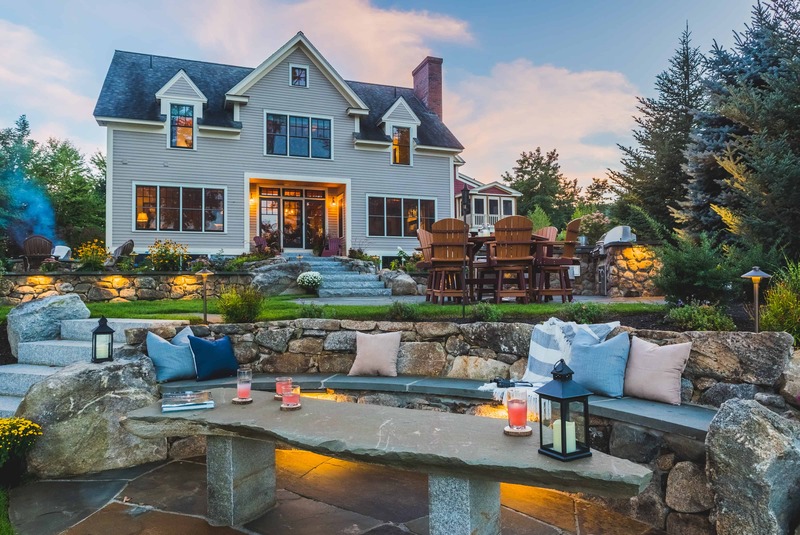 An outdoor kitchen and a nearby fire pit provide opportunities to entertain guests while a lakeside stone couch and coffee table, offers choices for seating and unobstructed sunset views. 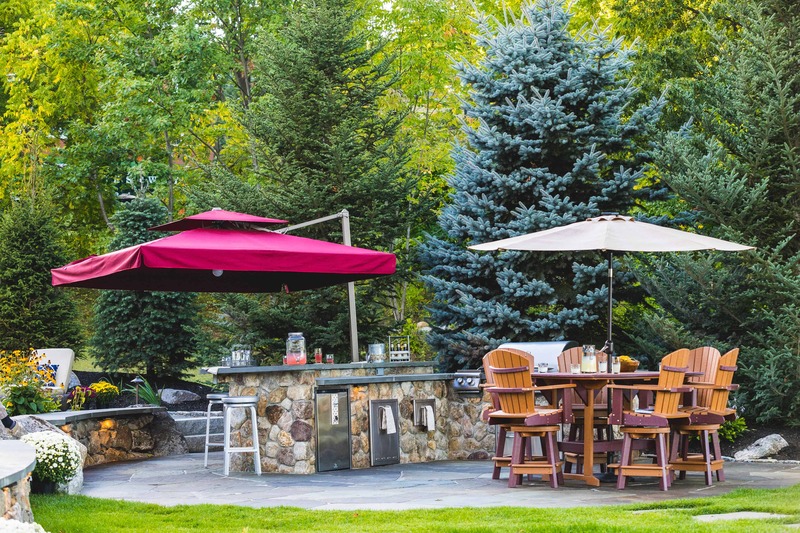 A beautiful assortment of seasonal perennials and shrubs add color to the landscape. 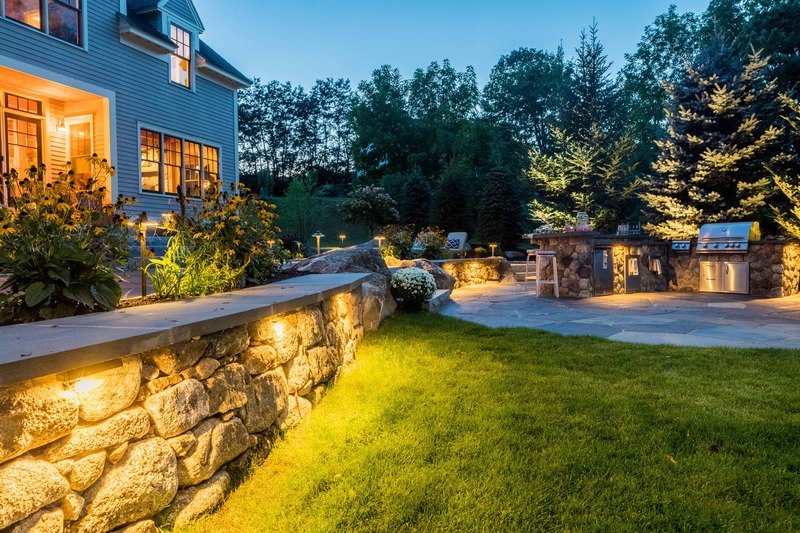 A full pallet of landscape lighting, including path lighting, uplighting, down lighting and wash lighting brings this landscape to life at night, allowing for parties to continue long after the sun does down. 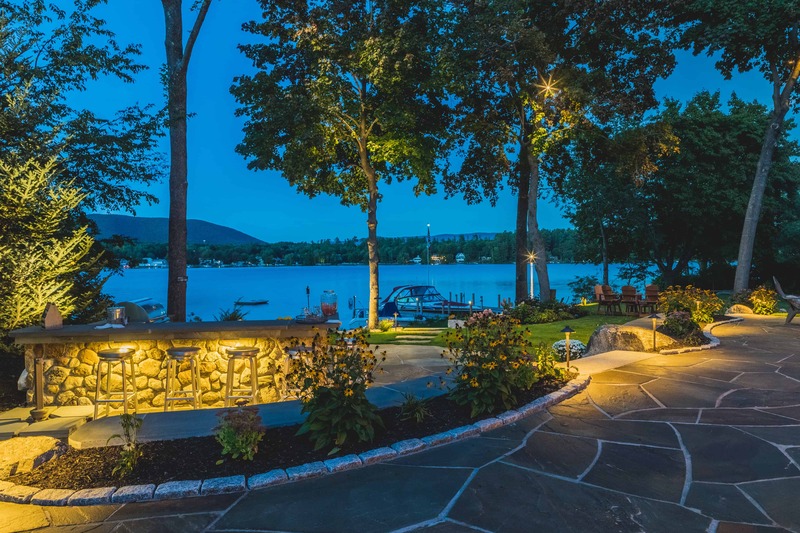 The completed landscape offers this social family the opportunity to host large gatherings or utilize this beautiful spot as an intimate lakeside retreat. 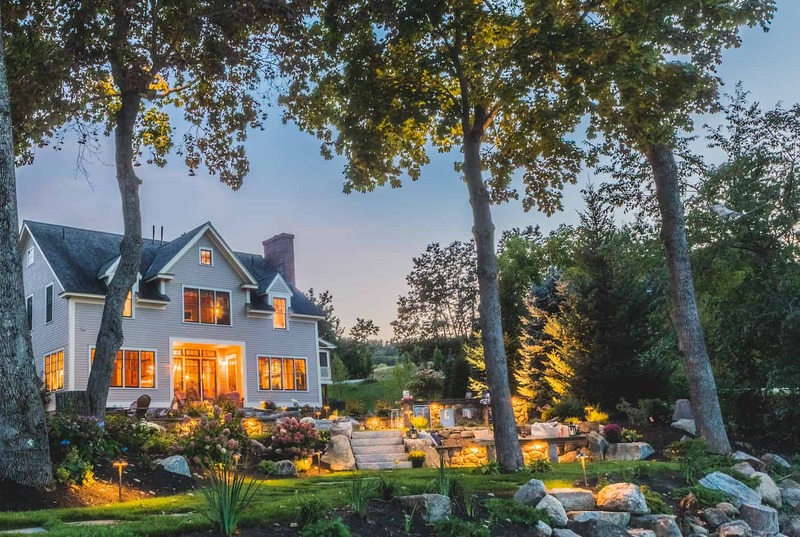 What do we love most about this property?